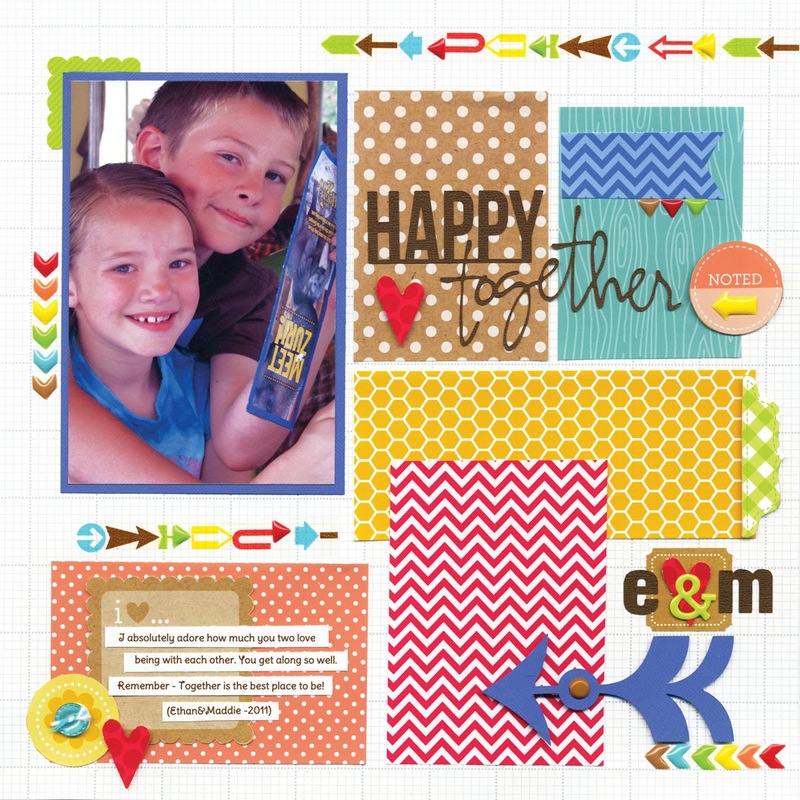 Hi there Doodlebug fans - Tya here to share with you my layout that I did using my FAVORITE new Doodlebug line - Kraft in Color! I have long had a love affair with anything Kraft paper related - add all the yummy Doodlebug colors to kraft - I have never had a line that was so ME! I love how versatile this line is - any color that you have - this line has a paper to go with it from the brights like I did on my layout - to pretty pastels and jewel tones as well. One of my favorite components of the line is the new Arrow Sprinkles that come in every beautiful Doodlebug color palate. They add great dimension to my layout and I love the shine that they have. Thank so much for stopping by today! Pick up some new Kraft in Color today to bring that special photo to vivid, colorful life! Hello! hello! 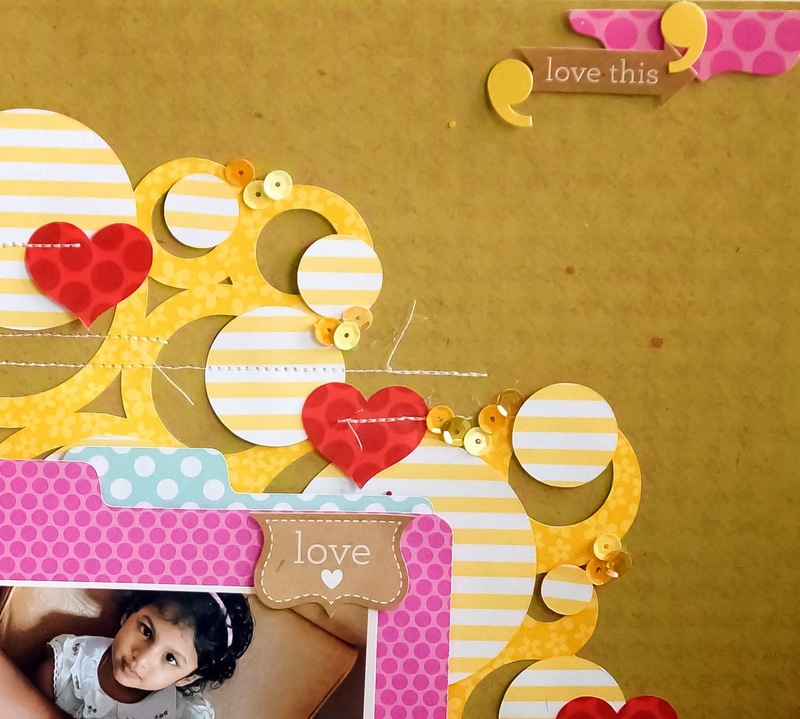 Today I'd like to share with you a layout made using the Kraft in Color collection that is part of Doodlebug Designs' winter release. 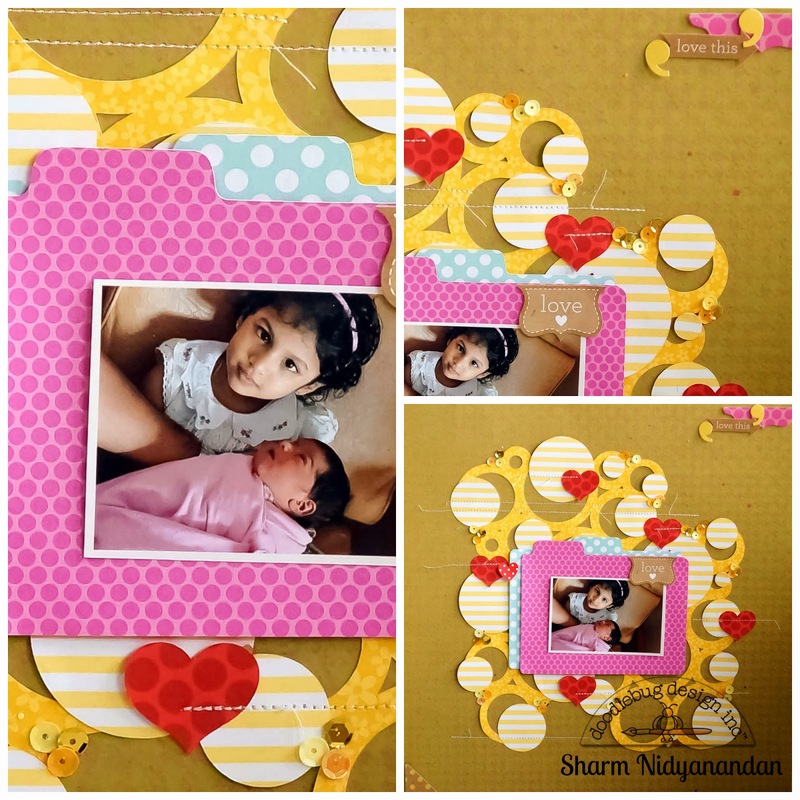 The layout was put together using my trusted silhouette cameo, some stitching and of course the lovely sequins by Doodlebug! The sequins are pretty awesome! each bottle contains ombre coloured sequins and they are perfect! The papers with their coordinating patterns are great to work with too! What I did was to cut out the bubble like pattern that's used for the background, from my cameo. Then, the circles that were left behind were flipped over to reveal the coordinating pattern of the patterned paper I used for the bubbles. I then stuck them slightly away from the empty bubble to create more layers. I hope I'm not confusing you here lol!! These are both awesome ladies! LOVE how you each used the collection in a different way! Wow these layouts are amazing! 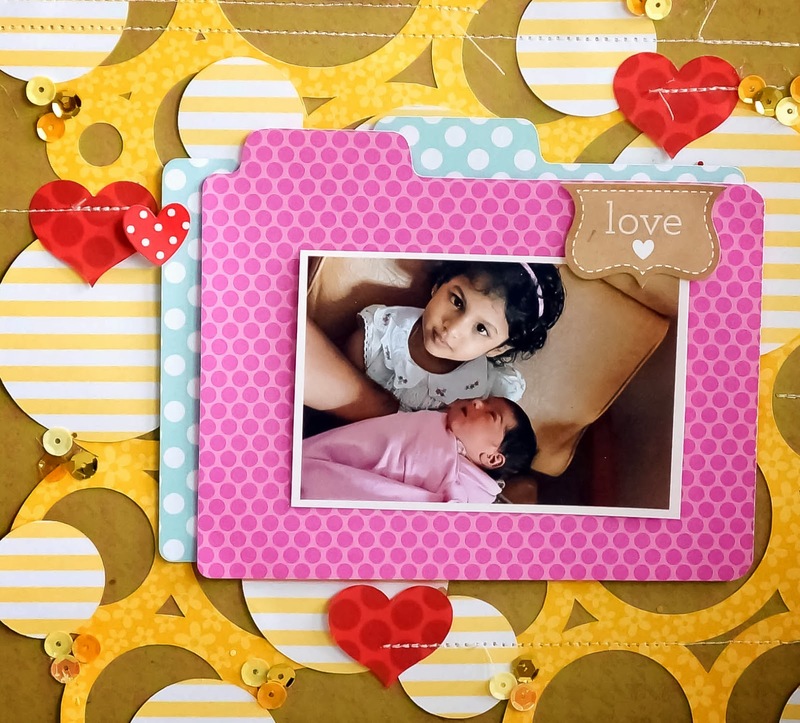 Amazing job on both layouts - love how you each used Kraft in color but thanks to Doodlebug's great products they are both so different. Love the versatile creativity that comes with all the lovely Doodlebug products!! As the lay out says "LOVE THIS" they are both so adorable! Thanks for sharing. Gorgeous layouts, love all of the details and that Kraft in Color is amazing! Two super awesome LOs! I still can't get over the vibrance of these colors! Love them!! !